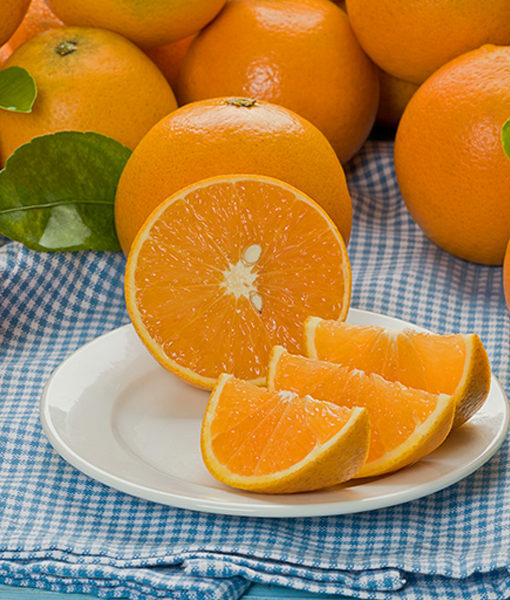 The “quintessential Orange.” Valencia Oranges ripen very slowly – there are orange blossoms and Valencias on the tree at the same time. They produce much more sugar than any other variety, which is the reason for their deep, rich flavor. 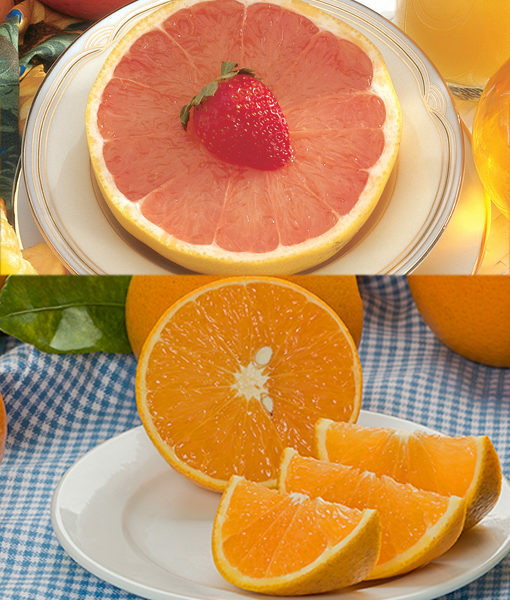 You can peel and section a Valencia, slice one up or squeeze the best OJ you’ve ever tasted.